The Telegram app is the most secure and flawless instant messaging app for Android. That said, it is also the easiest app to customize in terms of looks. It supports applying custom-made themes and there are very well designed ones on the Internet. We constructed a special list just for you to browse and chose the best of the best themes ever made for it. Where to get them from? If you are a fan of dark or black, this is the place to go hunting for themes you like. It is all about the colors. Here you will find a huge variety of different styles and color combos. 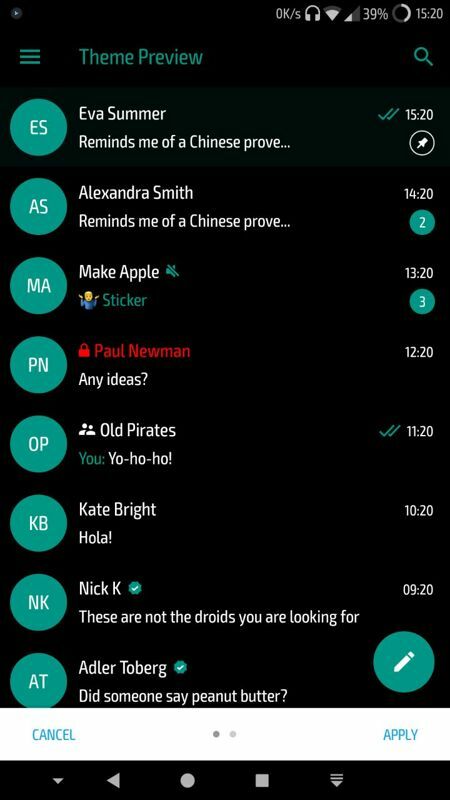 I am attaching my own black theme with teal accent colors, so please, leave some feedback about it. 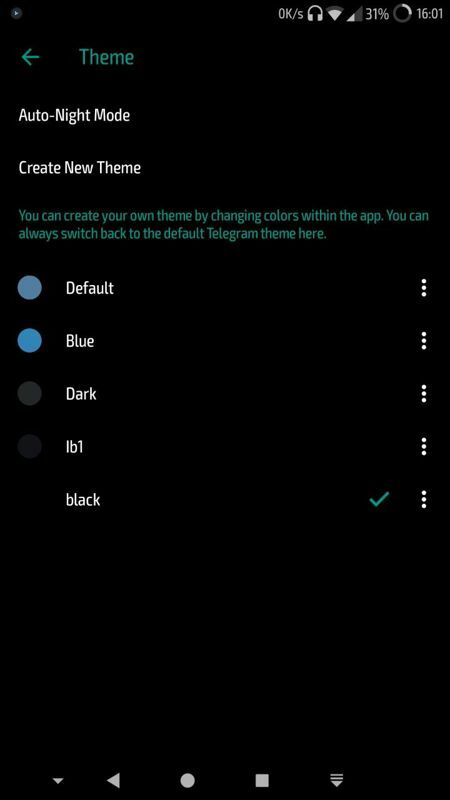 To apply a theme you have to download it by using the Telegram app, or you won't be able to import it. If you want to apply a theme from somewhere else, you can upload the .attheme file to your 'Saved Messages', redownload it and tap on the file. You will be greeted with a preview screen and a button at the bottom right saying 'Apply'. To switch between already used/applied themes, go to Settings > Theme and select the one you want to use. 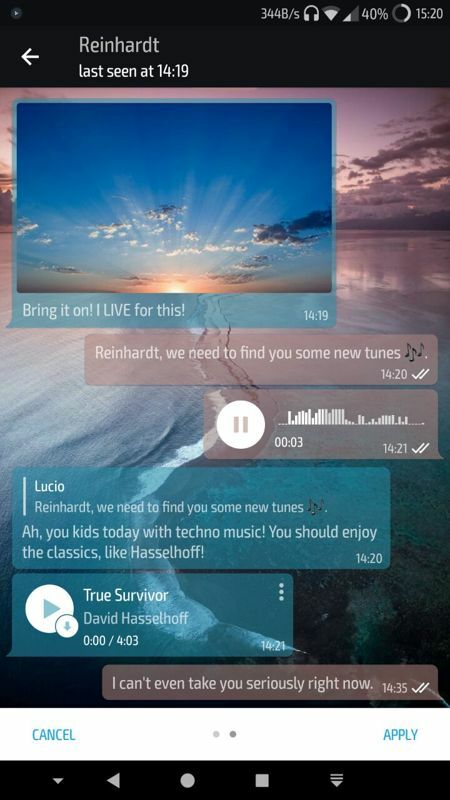 As you can see, there is a large catalog with themes for Telegram and it's pretty effortless to install one. Please, share with us your own themes, or the themes you love and use daily.